OxyMed Anti-itch Medicated Soothing Spray contains a gentle yet powerful combination of alpha hydroxy and beta hydroxy that penetrates deep into the pores and helps exfoliate the skin. 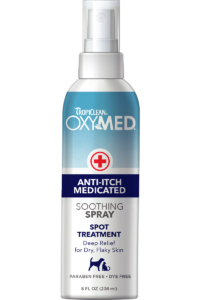 Specially formulated to help reduce swelling, redness and dandruff, while providing immediate relief from itching and allergies. This unique medicated blend effectively moisturizes and nourishes the skin. SHAKE WELL BEFORE EACH USE. 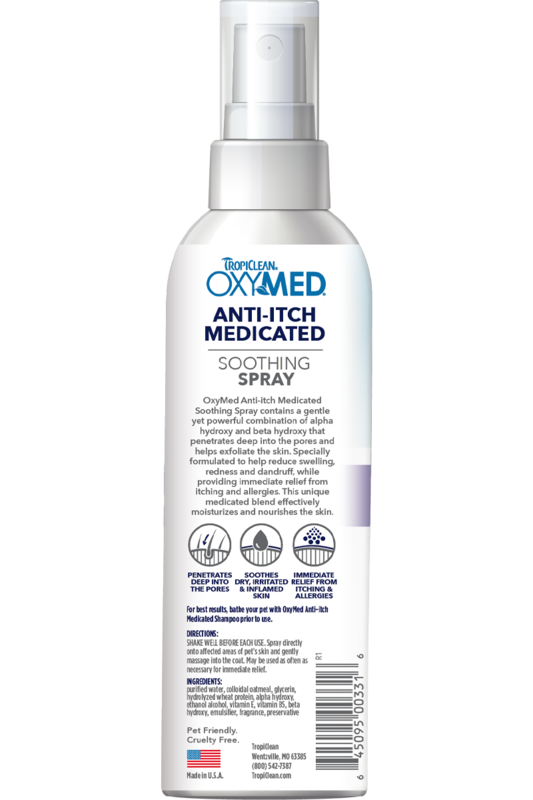 Spray directly onto affected areas of pet’s skin and gently massage into the coat. 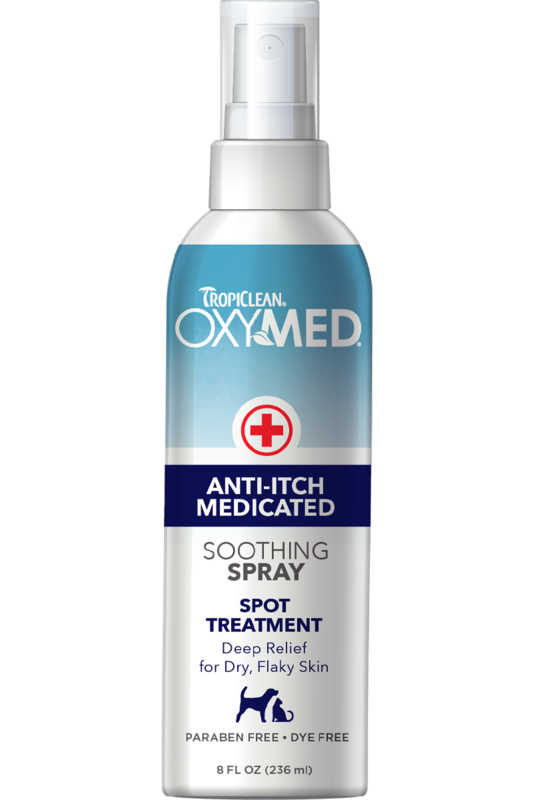 May be used as often as necessary for immediate relief.